Free expert customization and 2 week free shipping. 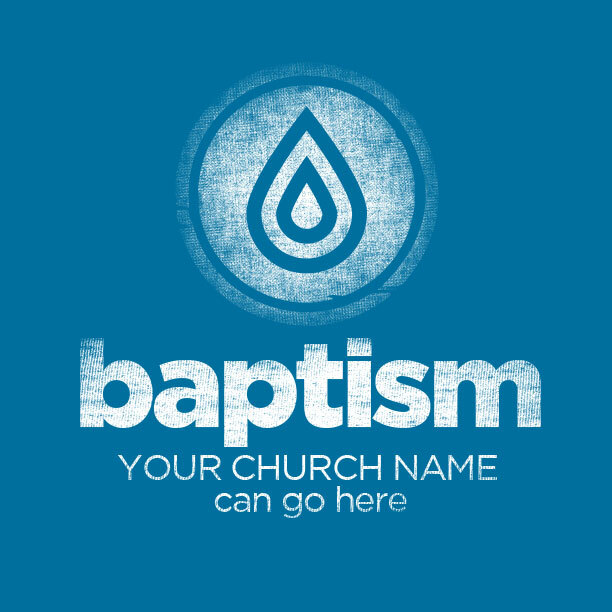 Get expert help creating baptism t-shirts to celebrate new life as your church welcomes new believers. 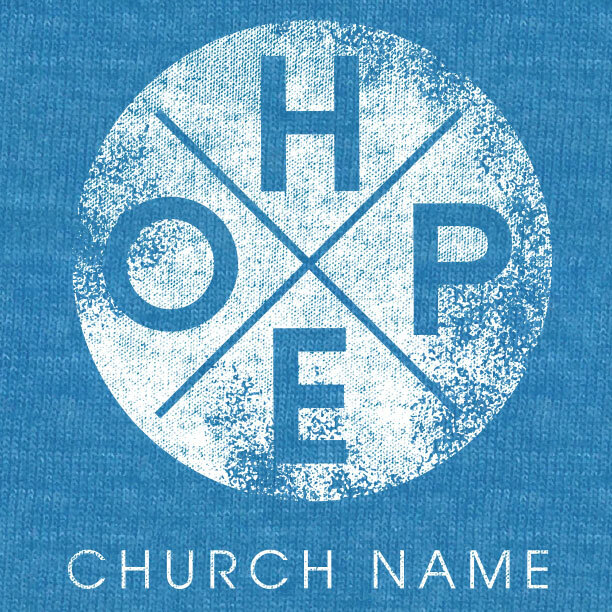 We Have Lots More Church T-Shirt Designs! Above anything else, we love with what God’s doing through your church. We stand with you in wanting to see more and more people come to Christ and be baptized. So we’ll do what we can to serve your baptism t-shirt needs. Our process is quick and easy so you can get right back to ministry. We want to celebrate with you too, so send us pics of your baptism service if you can. Ordering shirts can be a hassle, but don’t worry. We got this. Our process is so good, we promise you’ll get the best screen printed t-shirts you can find – and have fun in the process! We stand behind our work and our schedule. If your baptism t-shirts don’t arrive just as you ordered and right on time, we guarantee we’ll make it right! Yes, there are some guarantees in life, and this is one of the good ones. Put our guarantee to the test. We don’t sell shipping. We give it away free! Your one-of-a-kind baptism t-shirts will arrive within 14 days via our FREE “Ground Service.” Need it sooner, “Rush Service” delivers in 8 days or less. Need it quicker than that? MinistryGear’s “Miracle Delivery” gets it to ya in 3-6 days. Times reflect orders shipped within the 48 contiguous United States. Ring us up at 1-888-812-4044 for details, or visit the shipping & delivery page. Baptizing and graphic designing don’t always mix. You could get water on your laptop. So we’ll let you do the baptizing if you’ll let us do the designing. 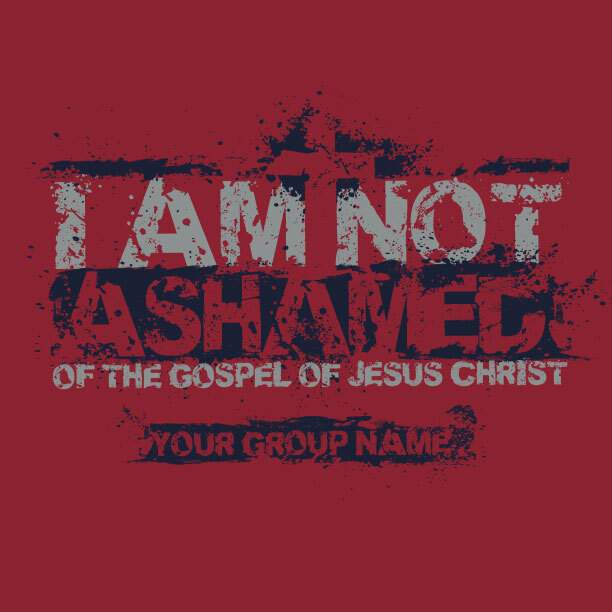 And professional t-shirt design is free for you and your church. Design from Ministry Gear is complimentary for your church family. 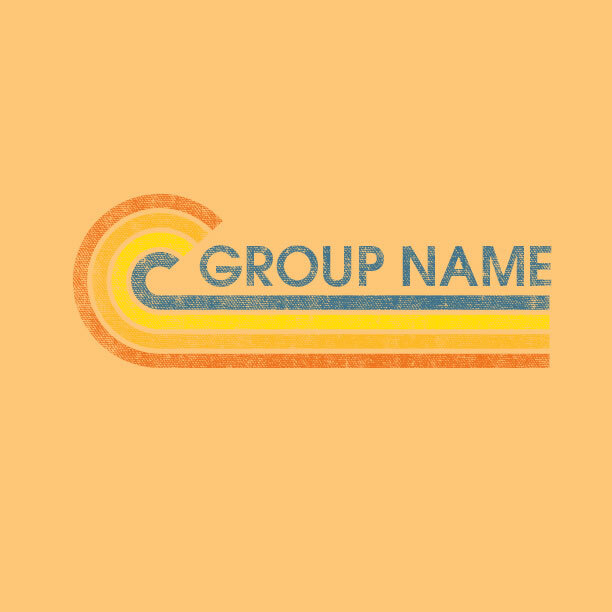 Choose from hundreds of cool templates or send us your ideas. We’re happy to help you create an attractive – and wearable – work of art that everyone will love! What an amazing symbol of resurrection in Christ is baptism! Get baptism T-Shirts for the candidates at your next baptism service as a bold reminder and message to the world that a new life has been brought up from the grave! To go down into the water, as though dead and buried, and to rise again from the depths to new life declares the transformation story of the Gospel. There’s no better reason to celebrate as a congregation! 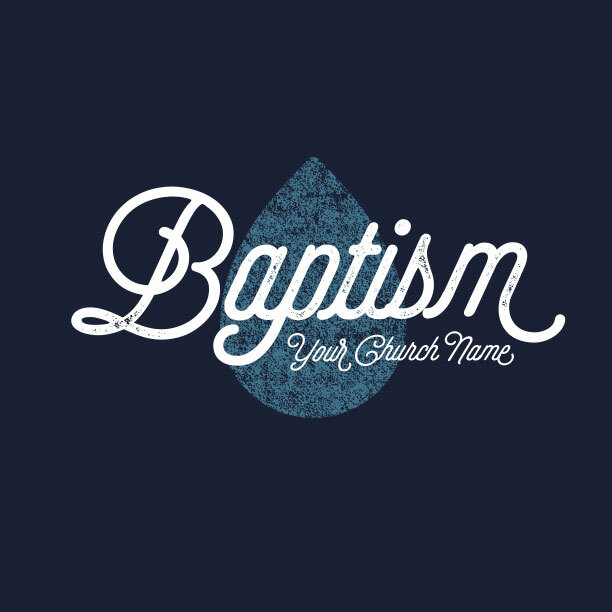 As your church body stands together with the newly baptized, commemorate the moment with baptism t-shirts that declare new life and hope to everyone they meet. Is there anything more beautiful than the baptism of a believer? To witness their full surrender to God’s will in their life is to see the beginning of ongoing sanctification. And think of the effect baptism has on those viewing it. They see a person who has made a decision to die to themselves and to live for Christ. Check out this clip of a U.S. Soldier getting baptized in the Euphrates River in Iraq. It’s in moments like these that we’re able to see for ourselves the remarkable grace and mercy God gives, even in the most difficult circumstances. Choose a template you like and use the form at the bottom of the page to begin the process. Your Ministry Gear designer will get back to you within a couple days to help you customize it to fit your needs. 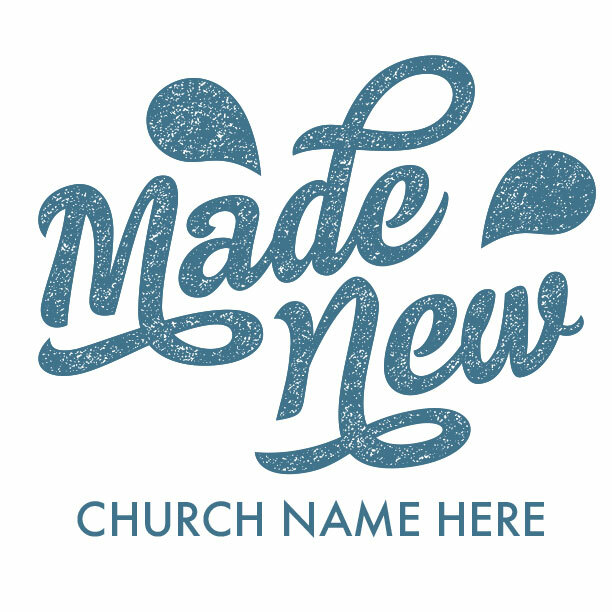 Want to add your church logo, change the colors, or start a brand new design from scratch? We can do that too. Did we mention design work is complimentary? 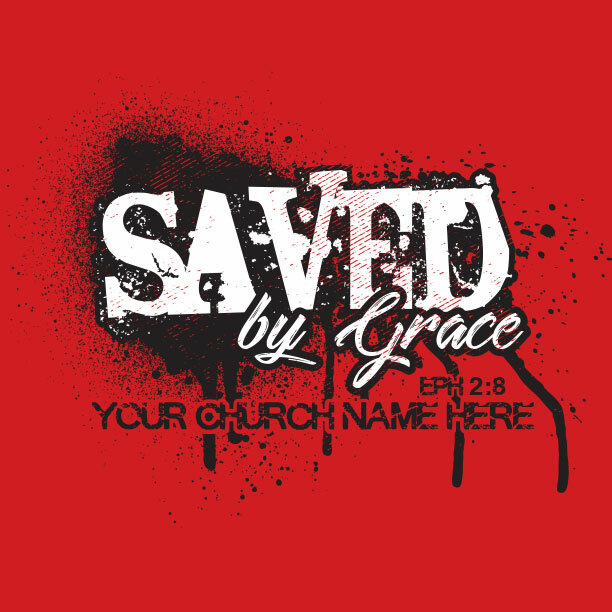 We’ll design your baptism t-shirts at no cost… FREE! Serving your ministry is our ministry, so let us serve you with free designs. You can’t beat our free design service. Why did you get baptized? That’s a great question to ask yourself when encouraging others to do the same. Often our own experience of baptism is different than what we come to believe about it as we mature. At the time, we may have sensed God’s call, felt a deep need to repent, or were simply moved by the emotion of the moment to obey and follow what we were hearing. It’s not until later that we truly understand the meaning and theological importance of that action. In fact, after years of learning and maturing, we may even forget how we felt or thought at the time. So as we counsel others toward baptism it can be good to think again about where we were at the time of our baptism, the impact of that action, and the reasons why we stepped into the water. Read Erin Davis’s full post on her blog HERE. We love celebrating baptism with your church. If you think of it, please forward photos of your baptism service to us so we can post and share what God is doing through churches around the world. It’s not about shirts. It’s about your ministry. Our true passion is ministry. Our first shirts were printed for churches and that’s what we feel like we were made to do. 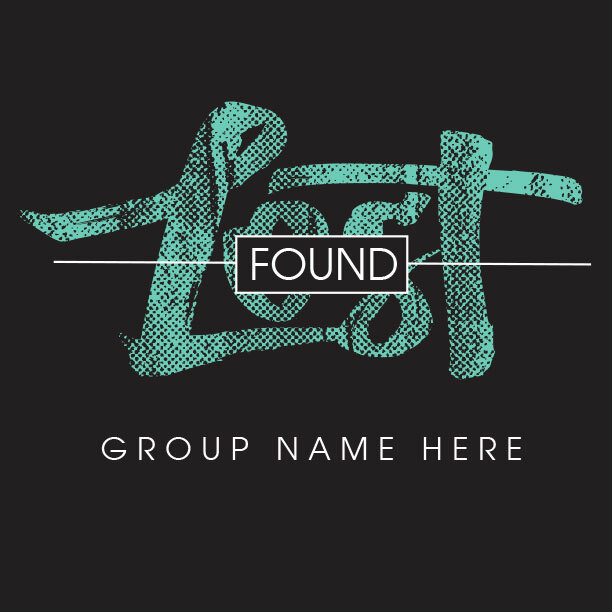 We’re a group of talented designers who love serving God with the gifts he gave us. And making it easy on you is what it’s all about. Don’t waste your time hassling with a complicated process. We’ll create the best looking shirts you can find and they’ll arrive right on time, and at the best price. Thank you for allowing us to serve your church.